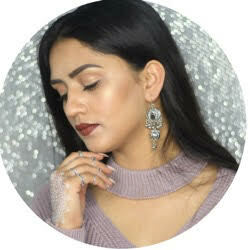 This is my first ever comparison review on my most essential product that I need every time when I wear makeup. I think this is my one of the best or could say the only best habit in me that I never slept with my makeup on even Before the YouTube Era. I always use natural oils to remove my makeup. But my skin type changed since last 2.5 year. Now I can't use oils to remove my makeup on my oily skin. So I came to know about these micellar water from beauty Gurus. And I wanted to try them so badly. 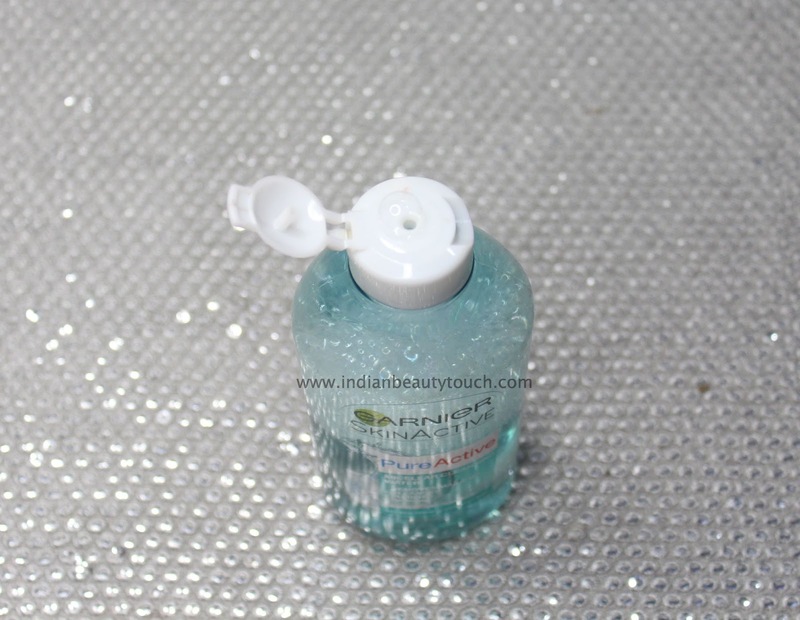 At the time It was not available in India( I mean in affordable prices) So I bought the most hyped micellar water at that time from feelunique They ship worldwide. 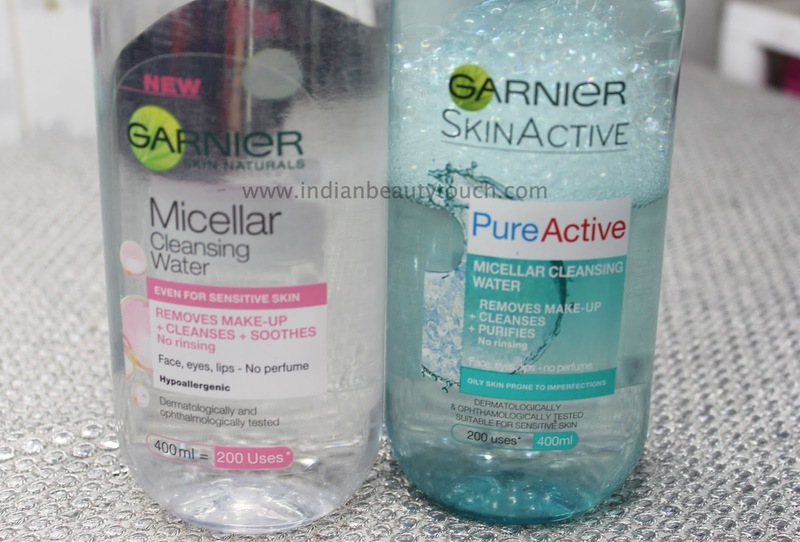 Now Finally, We Indians also have Garnier Micellar water in online store with affordable prices. And I think, It was the best thing I ever Bought. I legitimately love this Garnier Micellar Water. I bought two bottles of two different range which is pink and blue. So I am going to compare them which one is better or turns out good for me. So let do it. 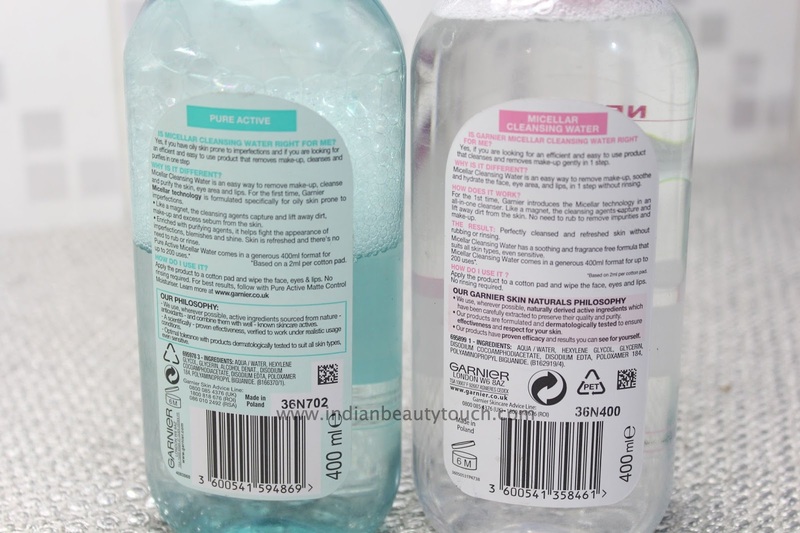 In Indian stores, we have only pink bottle but they bring new one which is in yellow color because it has oil in it more than any other water(Garnier). Let me know do you what that yellow bottle review too. Why two Different color of bottles?? Its very obvious , Its for two different purposes. Both works same but one doesn't remove waterproof makeup. Micelles are like tiny balls of cleansing oil molecules suspended in water. Micelles act like a magnet that are attracted to dirt and oil so they draw out impurities without drying out your skin. Recommended for dry and sensitive skin types because it is so gentle and hydrating. Both came in same size bottle which 400 ml . The blue one comes with colored bottle instead of a blue cap like before. So I have used both for removing makeup. I always struggle with removing my eye makeup Because I always ended up looking like panda because my mascara & eye liner never comes off easily & completely. But This thing saved from looking like mess. 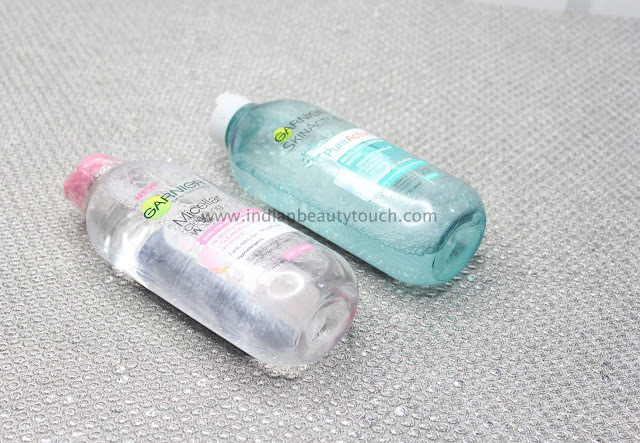 This is my first time using Micellar water So I can't compare it with other brands. 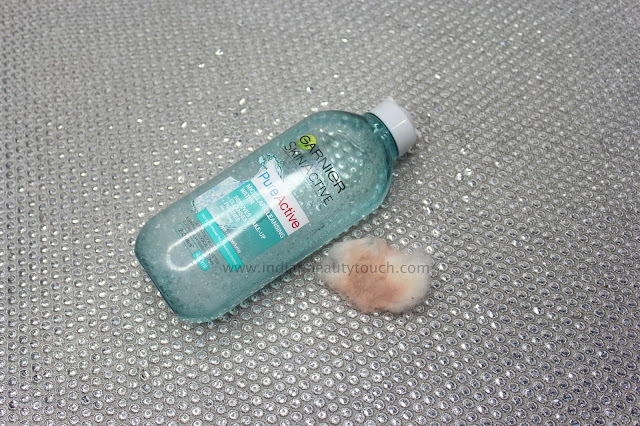 Used Micellar water with cotton pads and Don't rub the pad all over your face. Just gently press the cotton pad on your face then then swipe off it. Voila !! You will get tons of makeup it will picks from your face. Pink one is from removing just normal makeup and I tried it with waterproof mascara and it did take off my mascara. It just take extra 1 minute of mine. Blue one is for removing waterproof makeup. It removes mascara without making it smudge all over my eyes. It is for oily skin people or acne prone skin. Both does have mild citrus fragrance which makes face fresh after cleansing. Now lets talk about does it really works as per the claim?? Blue one is very good when it comes to remove waterproof mascara or eyeliner. 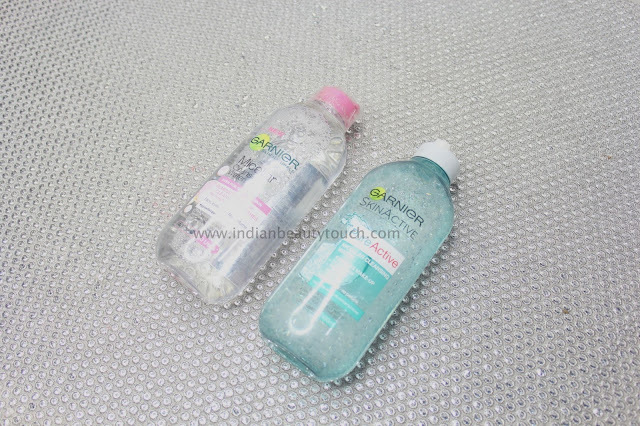 But one thing I noticed is that Blue require more micellar water on cotton pad than Pink one. Ok let me say this clearly, When I dipped cotton pad in micellar water, The pink one takes less water and remove alot of makeup from face. But Blue one takes atleast two swipes for removing exact makeup that the pink one takes in one time. One bottle last 3 months as I don't wear heavy makeup everyday. So one damp cotton pad is enough for me to clean whole face with pink bottle. And Two damp cotton pad will be needed in blue bottle because it doesn't clean my face in one swipe. So If I have to between both. Obviously I will choose Pink cap bottle. because It will last long for me. And Second, It very affordable for everyone.